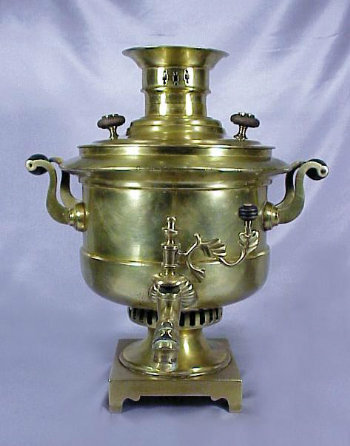 Massive and rare drum shaped Samovar of yellow brass sits atop an ample self-footed square base. 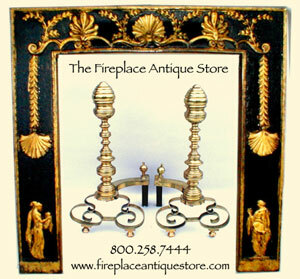 Impressive craftsmanship with beautiful design elements on lavish foliated spigot key & stylized spigot. Thick walled construction and prominent upper rim of fine proportions. Grand crown. Scroll handles. 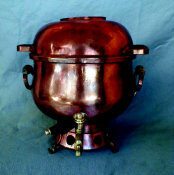 Dimensions: H 18" W 16"